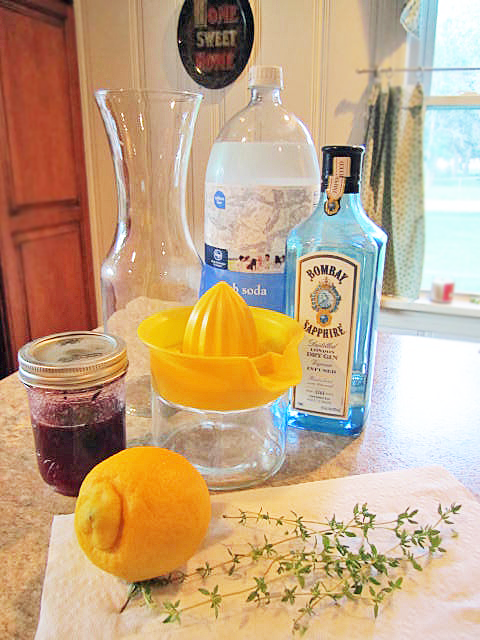 In a pitcher, combine the syrup, gin and lemon juice. Refrigerate for 2 hours. To serve, add ice and half of the gin mixture to a martini shaker. Add 2 tablespoons of blueberry jam. 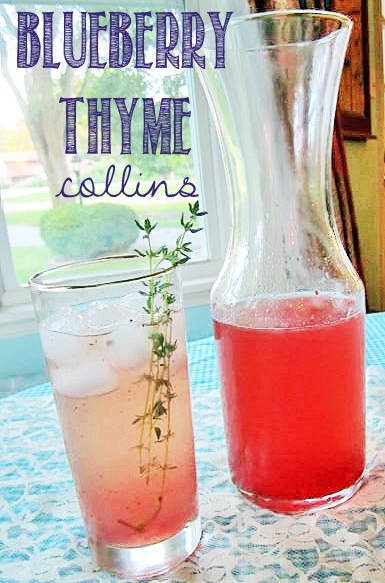 Shake well and pour into ice-filled Collins glasses. 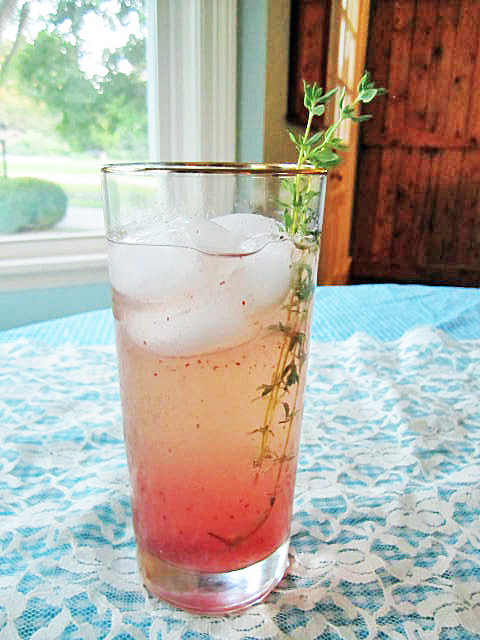 Add a splash of club soda and garnish with fresh thyme sprigs. Repeat with remaining ingredients. 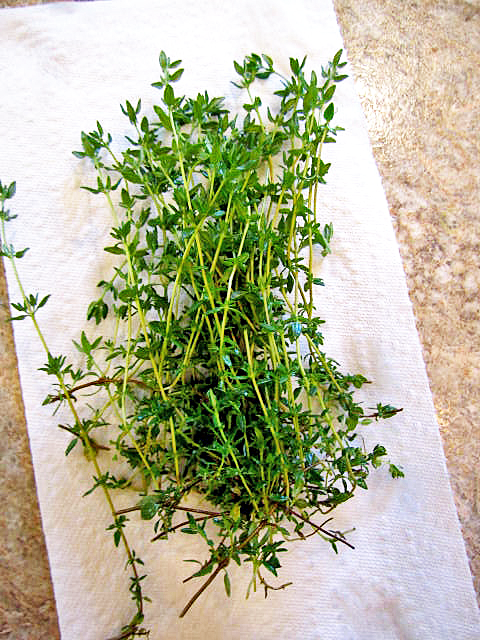 Gently crush the thyme sprigs and put them in a small saucepan. Add the sugar and apple juice. Bring the mixture to a boil over medium heat. Reduce the heat and simmer, stirring occasionally, until the sugar has dissolved, about 5 minutes. Remove the pan from the heat and allow the syrup to cool, about 30 minutes. Strain before using. This makes enough for 4 servings. Fill your glass with ice and slowly sip in the summer time! Be forewarned, these do not have an alcoholic taste, and they will catch up with you because they go down so easy!! So, in other words, sip slooooowly... Enjoy! !